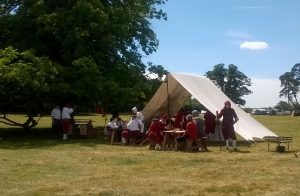 In July 2017, representatives from the community, churches and local history societies met together and decided that it would be a great idea to hold a festival to celebrate our rich historical heritage. 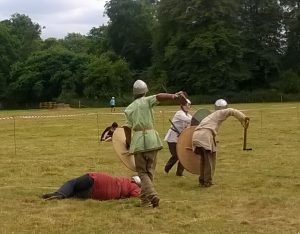 We hoped to enthuse others within the local communities – and beyond – about our local history, to strengthen the links between our communities, to have some fun, and maybe even raise some money for charitable causes. 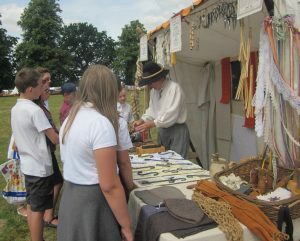 The Shelswell History Festival is a Charitable Incorporated Organisation (Charity registration number 1171846) and has been set up to increase awareness in local history and where it fits into the wider world. The charity aims to provide the opportunity for all ages to experience and learn about the history and heritage of the Shelswell area and those events which have affected it, both locally and in the wider world. The first £500 of any surplus income from the festival will be retained towards meeting the cost of the next festival. Any income above this figure will be divided equally between the next festival and other local and national causes with direct benefit to the local area. Under the direction of the charities trustees, a Planning Group was set up in 2018 to start planning for a festival in 2019. Plans are now well advanced and a programme of events and participants is being developed. If you wish to join our hard working group of volunteers please contact us. Shelswell comprises a group of villages north of Bicester in Oxfordshire, an area immortalised in Flora Thompson’s intimate description of village life in the Victorian era in ‘Lark Rise to Candleford’. 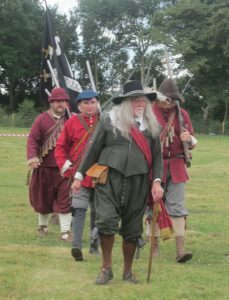 It is an area rich in local history: a Saxon battle site, medieval remains, ten churches each with their own history of eccentric vicars, Tusmore Park with its Roman Catholic heritage, some lost villages, a World War II airfield, the Juniper Hill Aircrash, and its long standing connections with the Bicester and Whaddon Hunt, to name but some of it. It boasts one of the leading authorities on Flora Thompson, individuals who have carried out detailed research on its war memorials and those who have died in the World Wars, and some very active historical societies. 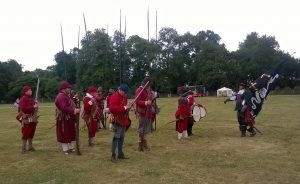 We were very fortunate to be able to hold the 2017 Festival in Shelswell Park, a traditional country estate near to the villages of Hethe and Fringford. Now run by the von Maltzahn family, the estate comprises arable farmland, mature parkland and extensive woodland. The first records of Shelswell date from the 8th century, and it is also mentioned in the Doomsday Survey of 1086. Later, Flora Thompson in her trilogy ‘Lark Rise to Candleford’ describes the celebrations of Queen Victoria’s Golden Jubilee that took place in the park, and her sister Betty Timms in her writings describes the Diamond Jubilee celebrations ten years later. And the park also saw the celebrations of Queen Elizabeth’s Silver Jubilee in 1977. We discovered that staging a festival like this is not cheap! 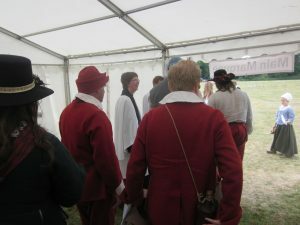 Although most of the contributors were giving their time and talents for free, we needed to finance the re-enactment societies, the bands, the toilets, the generators and a traffic management company. Not to mention the cost of publicity materials, marquee hire, and signs / banners for the site. We are very appreciative of the generosity of our sponsors, all of whom were acknowledged in the programme, on our website and on site. The Oxfordshire Benefice of Shelswell comprises a group of villages north of Bicester in Oxfordshire. The villages are Cottisford, Finmere, Fringford, Godington, Hardwick, Hethe, Mixbury, Newton Purcell, Stoke Lyne, Stratton Audley and Tusmore. Shelswell Park was made available for the 2017 History Festival by kind permission of the Baroness von Maltzahn and CJ and HP Allen.